Have you ever had leftover blocks and didn't know what to do with them? We have a simple DIY Project for you today. 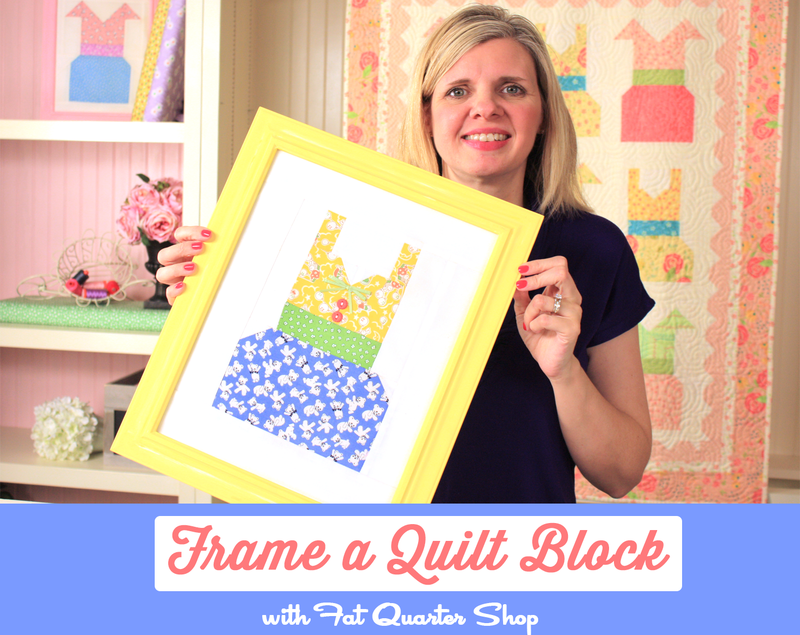 Framing quilt blocks is super fun and easy, and inexpensive! For this video we decided to use a novelty quilt block from our For the Frill of It Pattern by It's Sew Emma. We thought this block would look perfect in a little girl's room. Just fit it to a standard or custom frame and you've got an adorable project or gift done in no time at all!